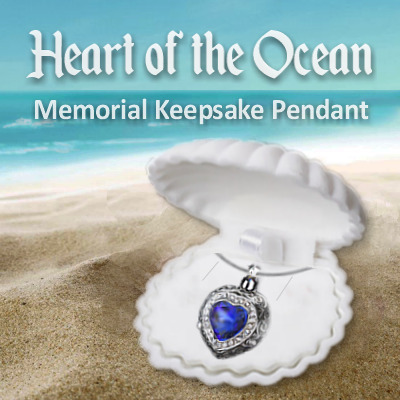 The 'Heart of the Ocean' memorial keepsake pendant is a beautiful antiqued heart pendant made of durable easy care stainless steel which features a blue crystal heart. 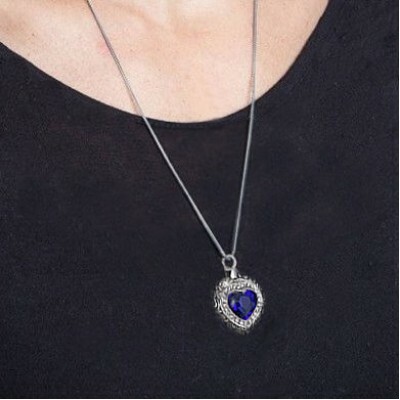 The pendant can hold a small amount of cremation ashes to memorialise a loved-one and keep them near, or alternatively could contain some fine beach sand from a meaningful location. 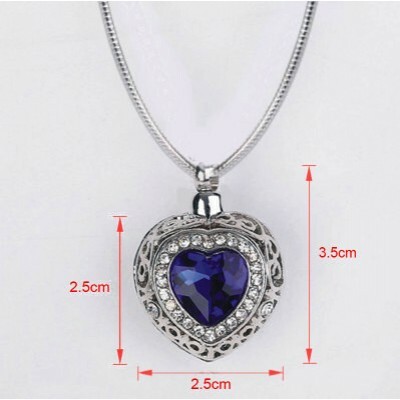 Comes with a snake chain necklace made of premium 316L surgical stainless steel. White seashell jewellery presentation case with a white velvet pouch is also included. 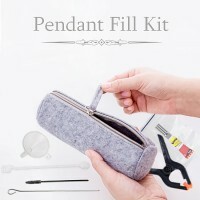 One Deluxe Fill Kit included for FREE with the purchase 4 or more pendants.